Theodore Evelyn Mosby or Ted Mosby is a fictional character in the U.S. television sitcom How I Met Your Mother. He is portrayed by Josh Radnor. Ted is prone to questionable romantic gestures. He scares Robin off by telling her he is in love with her. He has an annoying habit of correcting everything that people say. Pablo Neruda is his favorite writer. But putting all his little quirks aside, we all can agree that he is the king of romance. Some of his wisest words are enough to get you through every rough patch in your life. 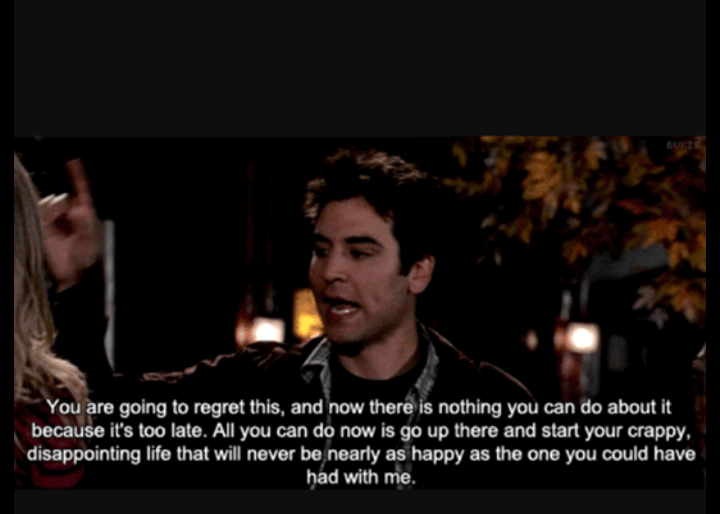 So, let us take a look at the best HowI Met Your Mother quotes or rather I should say Ted Mosby Quotes.